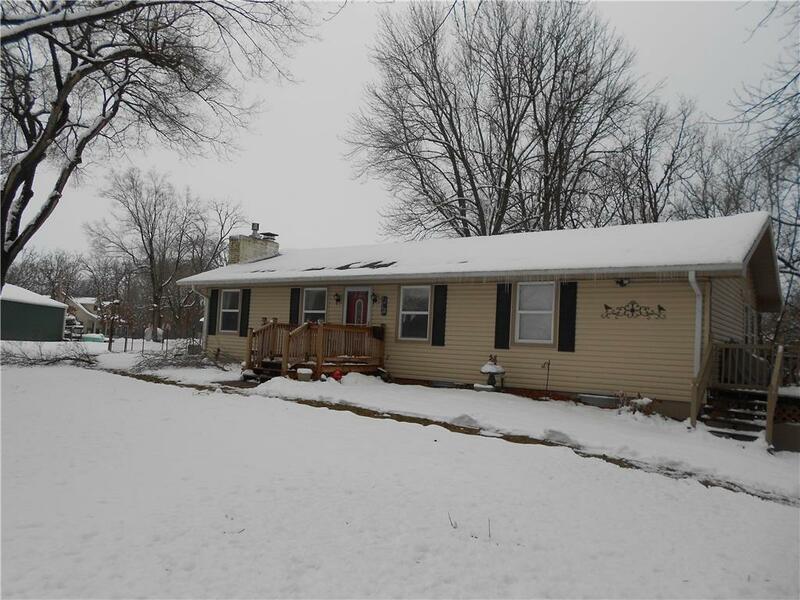 Nicely remodeled 2 bed, 1/ 1/2 bath house on 10 acres in the highly sought after Lawson School District. Home features newer HVAC, 2 newer decks. Home was completely remodeled in 2013. There is a nice office space that could be converted into a bedroom, and there are walls studded up in the basement for a bedroom, and rec room Siding, soffit, and fascia only two years old! Nice 30x48 shop with three garage doors, concrete, electrical, and spray foam insulated. Directions: Take US 69 North of Lawson, to 214th street. Turn East and stay left on 214th street to McCoy Lane. Turn West on McCoy to the home on the left.